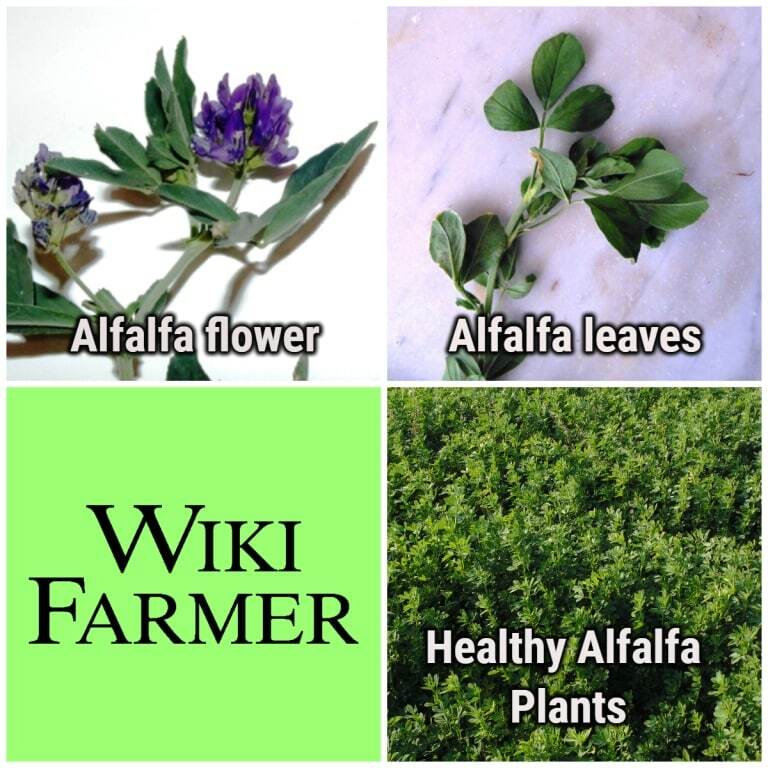 Alfalfa plant is a perennial legume with trifoliate leaves and blue to violet flowers. It belongs to the family of Fabaceae (the Pea and Bean family). It is the most important forage crop in the world. Alfalfa plant is a natural source of nitrogen, because it hosts symbiotic soil bacteria (rhizobia) in the root nodules that “fix” (bind and deposit) nitrogen from the air into the soil. Thus, it makes nitrogen accessible to other plants. Alfalfa plant is highly adaptable to varying cultivation and weather conditions. It can show great tolerance to draught. This can be achieved due to its root system, that can go deep up to 15-30 ft. (4.5 to 9 m), searching for water and nutrients. The average length of the root is 4-5 ft (1.2-1.5 m). The upper part of the plant is shorter compared to the root system. The plant’s height ranges from 2 to 4 ft (60 to 120 cm). Alfalfa plant thrives in well drained soils, as soggy soils promote the development of various diseases. 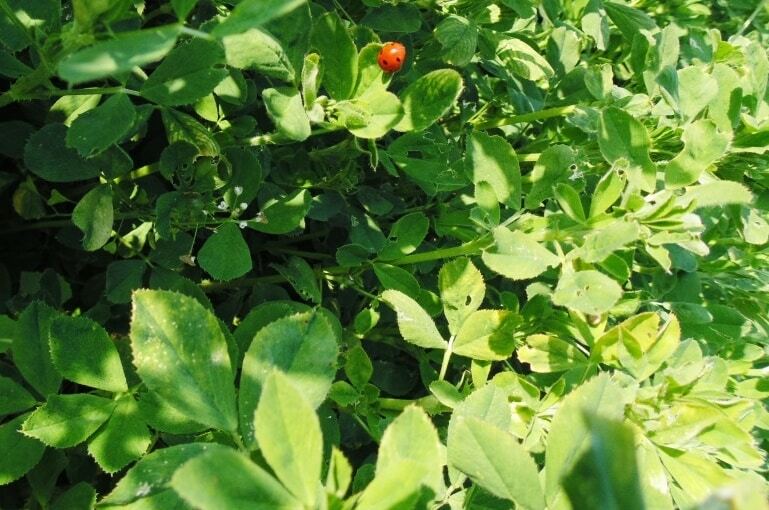 You can enrich this article by leaving a comment or photo of your alfalfa plants. Do you have experience in Alfalfa cultivation? Please share your experience, methods and practices in the comments below. All the content you add will be soon reviewed by our agronomists. Once approved, it will be added to Wikifarmer.com and it will influence positively thousands of new and experienced farmers across the world.